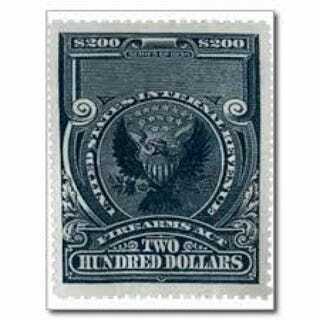 A $200 denomination stamp. Yes, it’s the same size as a regular postage stamp. ATF has approved two of my Forms 1 (for SBRs) in the past few days. Two more to go!